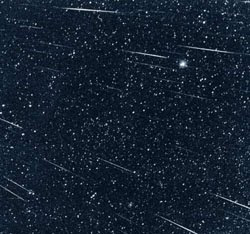 Did anyone get a chance to see the Meteor Shower early this morning? It supposedly happened between midnight to around dawn. It's also going to be tomorrow morning as well. I personally didn't stay up because I know I'd probably fall asleep by then. Also because I live in a place where there's so many lights and buildings I'd most likely couldn't see the sky anyway. Although it would be a nice alternative to staying at home watching TV. my boyfriend told me about this, but i was up all night making jewelry, and i didn't want to go out by myself at night! I would love to see it! But there is too much light pollution. My brother told me about that haha I wanted to see it but like you, the city I live in isn't dark enough & such so I wouldn't really be able to see it anyway. Wish I could, those pictures looks so pretty! 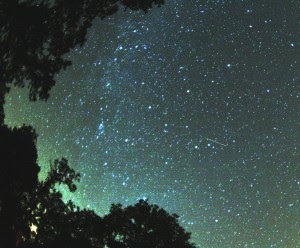 Reminds me of when I go up to Big Bear Lake/Mountain every winter, I could see every star in the sky at night! i saw this on the news but i didnt bother to check it out. not sure if it would be visible here tho. it would be a very nice experience tho. i love anything about space, stars, galaxy and such.